Dr. Gretchen Schnepper been practicing orthodontics in Vancouver, Washington since 2007. She opened her state of the art private practice in 2010. She graduated from and completed an additional 27 month, advanced educational program in orthodontics at Loma Linda University. Orthodontists are uniquely qualified dental specialists who diagnose, prevent and treat dental and facial irregularities to correctly align teeth and jaws. Dr. Gretchen comes from a long line of dental professionals. Both her maternal and paternal grandfathers and her father were dentists and her uncle still practices today. 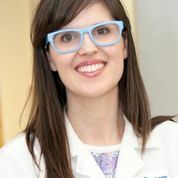 While in dental school she received The American Association of Orthodontists Award, the American Association of Oral Biologists Award and the International College of Dentistry Award. Dr. Gretchen is a member of the American Association of Orthodontists, the world’s oldest and largest dental specialty organization. It represents more than 17,000 orthodontist members throughout the United States, Canada and abroad. The Association encourages and sponsors key research to enable its members to provide the highest quality of care to patients, and is committed to educating the public about the need for, and benefits of, orthodontic treatment. For more information go to mylifemysmile.org. Dr. Gretchen is married to Darby, a first and second grade teacher. She enjoys reading, making art, bicycling and camping in her spare time. They have been blessed with 2 beautiful daughters. She loves being a mom.